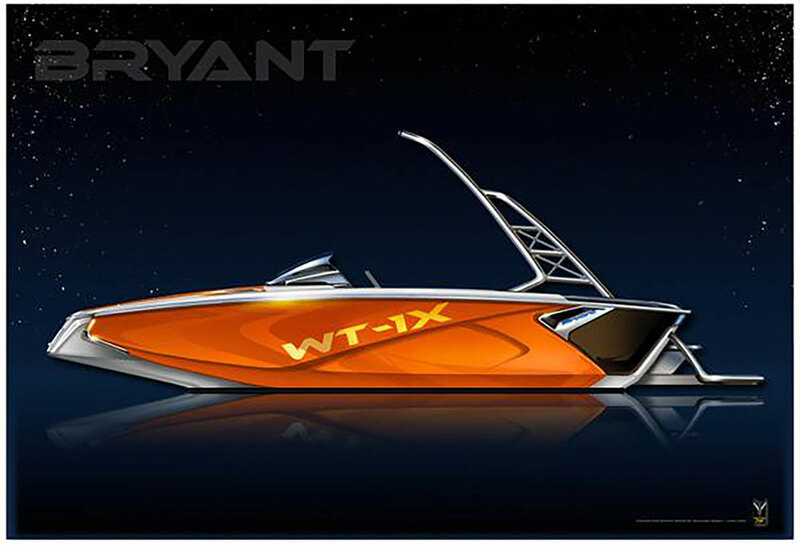 The Bryant Potenza is an all-new runabout. To find out what we liked and what we didn't, watch our video boat review. 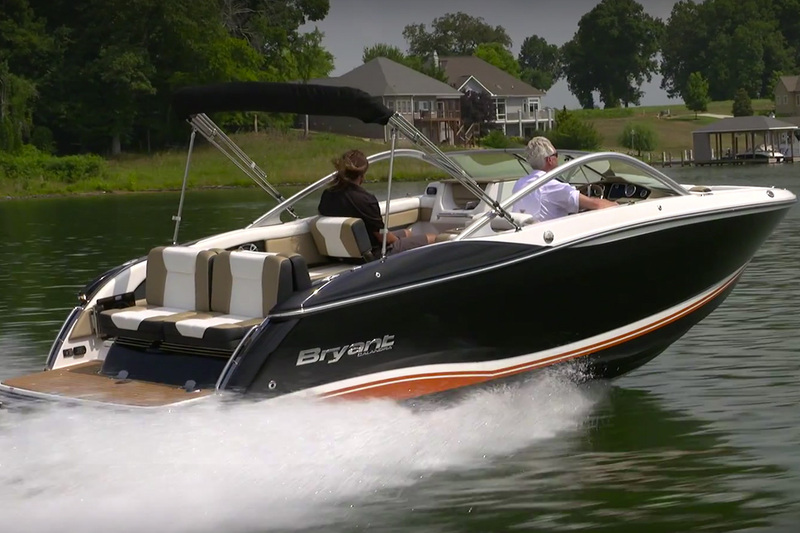 The Bryant Potenza is an all-new 26-foot 8-inch runabout designed to deliver a smooth, quiet ride with plenty of comfort and a wide-open layout. 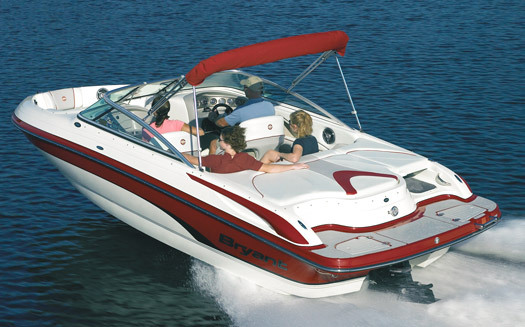 Bryant has loaded this model with standard features that are typically options on bowriders in this class. We were really impressed with the fit-and-finish and attention to detail we found on this boat, top-quality components, and a solid feel in the water. Our video boat review took place on a blistering hot afternoon on Lake Tellico in Tennessee; click on the picture below to watch the review. 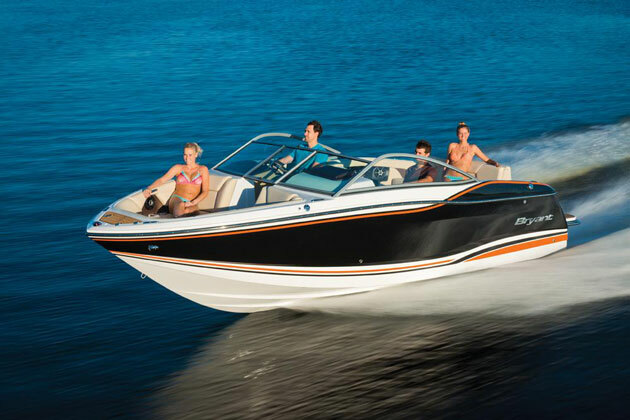 A runabout that makes the most of its cockpit and platform space, is loaded with standard features, and is aimed at the experienced owner who’d rather not go the pontoon route. Not a splinter of wood to be found in this boat, even in the transom, which is cored with Coosa Board, a high-density foam material infused with glass fiber and resin that's lighter, stronger and more durable than laminated wood. All deck hardware is stainless-steel, as are the stout hinges. 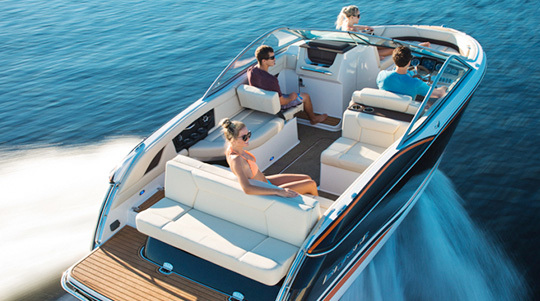 One-piece fiberglass deck and liner incorporates seat bases and consoles to create a solid, rattle-free assembly. Hatches are lipped to keep out rain water. Transom deadrise is sport-boat steep at 24 degrees. 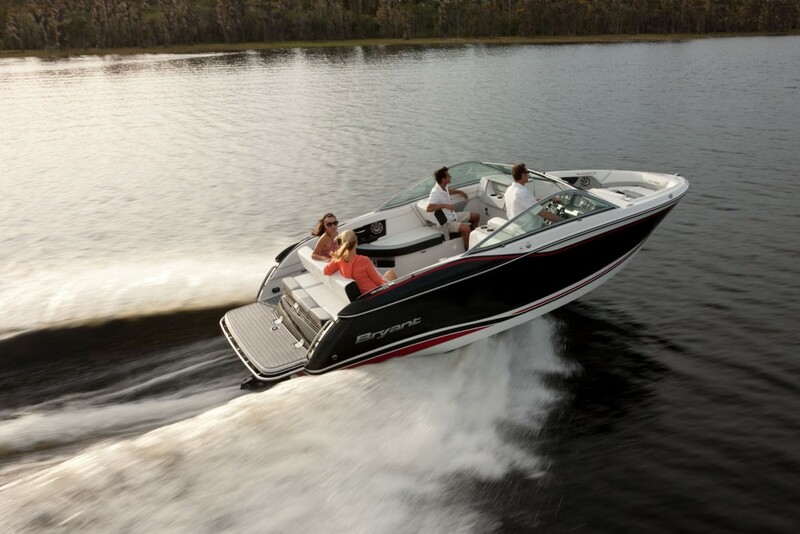 A 430 HP MerCruiser 8.2L and Bravo III drive put this boat smartly on plane and topped out at 52.0 MPH. Economy is not so hot at 2.6 MPG at 3500 RPM, but that's about what we’d expect with this big engine. This older-style engine sends more intake noise into the cockpit than then the newer MerCruiser engines, which aim the intake aft. Our test boat was equipped with through-hull exhaust, which is fun but loud, even when we closed the baffles from the helm. The deep-vee hull performs as advertised, slicing through chop and wakes and heeling over a bit into turns. Mercury drive-by-wire DTS digital controls would be a nice upgrade over the cable controls, especially around the dock. Standard pressure water system feeds sinks in the head compartment and cockpit, a flushing lav, and a transom shower. Aluminum sport arch incorporates a Bimini top that’s rattle-free, plus mounts for giant can speakers and LED cockpit lights. Stout hinges and gas struts on most seats that cover stowage. Very well finished; there are no rough edges on this boat. Sunpad has a pivoting backrest that faces fore or aft, which makes for a great lounging space. Port cockpit seat also has a pivoting backrest. The “1.5” helm seat is extra wide, and all the seating is deep and placed about three inches higher off the sole than normal, which makes a big comfort difference. Visit Bryant for more information on the Potenza. To start shopping for one, see these Potenza listings.